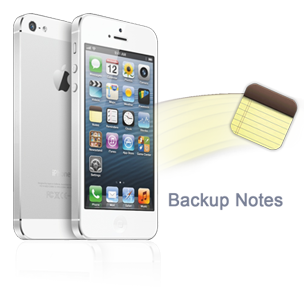 How to back up, save notes on iPhone 4/4s/5/5s/5c? This article explains how to backup notes from iPhone to PC, Mac computer in easy and quick way. 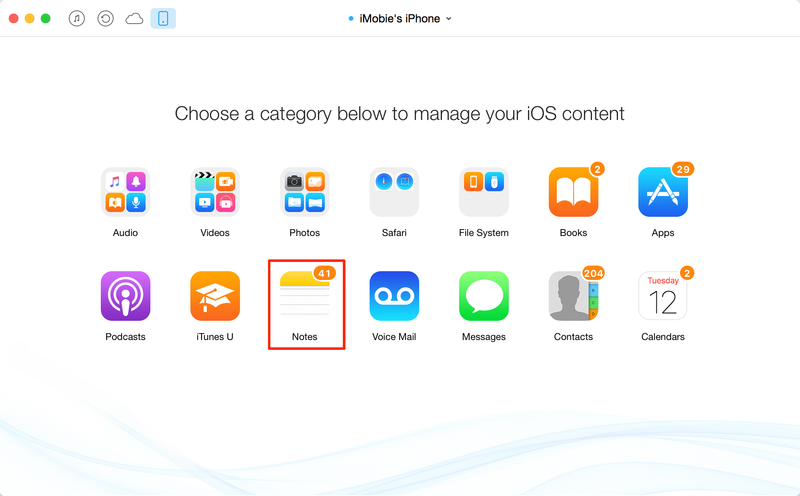 Read on this post to learn more about how to backup iPhone notes. Download and install AnyTrans to back up, save notes on/from iPhone to computer before reading this guide about how to backup iPhone notes. 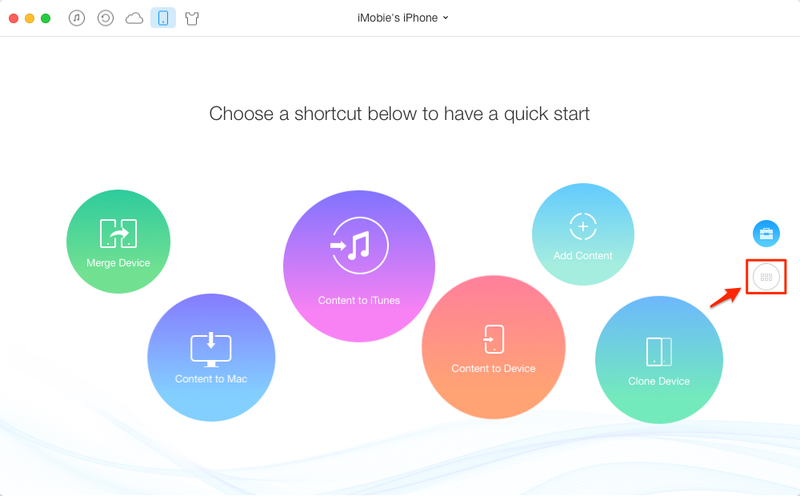 Many iPhone users take notes on their iPhone on a regular basis no matter you use it to do business or in private, as it is easy to do on the Notes app. Do you want to keep a safe backup of your iPhone notes on your PC or Mac computer, or view or edit them on your computer, even or transfer them to a new iPhone or iPad? To achieve these, you must backup notes on iPhone to computer at first. How about backup iPhone notes with iTunes or iCloud? Neither iTunes nor iCloud provides simple-enough solutions to backup iPhone notes, let alone allowing view and edit on computer and transferring to a new iPhone or iPad. So is there other easy and convenient ways to backup iPhone notes so that I can freely and easily view and edit them on the computer? It's not hard to backup iPhone notes any more, especially with the latest technology Apple offers. AnyTrans, the tool that you're seeking for, walks through backing up iPhone notes, letting your Mac or PC computer access the notes that are created on your iPhone and backup all notes on iPhone in a single transfer. Moreover, it can also help you transfer iPhone notes and allow you to view and edit freely and easily on your computer. Before getting started backing up notes on iPhone, download and install AnyTrans right now. 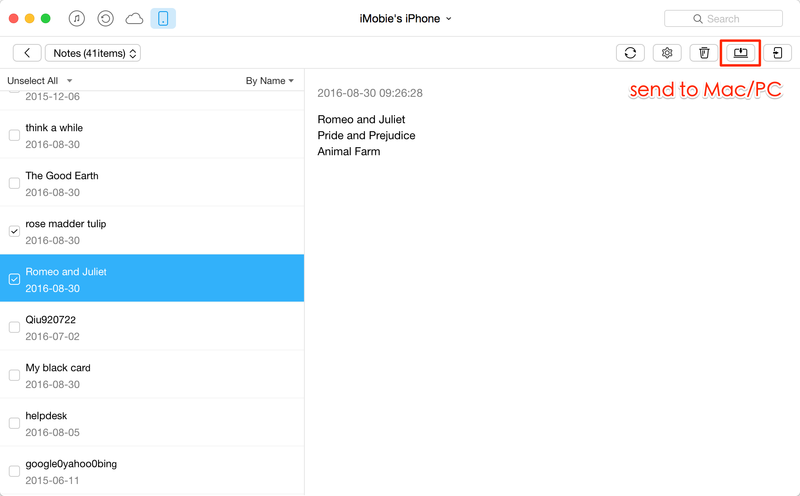 And read on and find out how intuitive backing up iPhone notes with AnyTrans. Step 1. Open AnyTrans and connect your iPhone to computer. Scroll down from the below window or click the button at the right. Step 2. Click Notes icon from data types. Step 3. Select notes you want to backup and click Send to PC/Mac button to backup iPhone notes. You'll now have your iPhone notes backed up to your computer, the notes will appear as regular files which you can freely view and edit or print them from your computer. Finally, This guide about how to backup notes on iPhone is also applicable to backup iPad/iPod touch notes. Get it a try right now! If you have problems about how to backup iPhone notes, feel free to leave your questions in Comments Section. And don't forget to share this post with more people if you like it or think it helpful.